Where am I? > Home > Travel Insurance Quotes > Medical Travel Insurance > Can mackerel help ease diabetes? Can mackerel help ease diabetes? Can mackerel help people with diabetes? 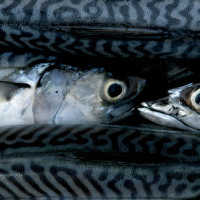 It's well known that oily fish like mackerel is good for the heart and the brain but experts are now considering whether it can also help people with diabetes. People with diabetes are now taking part in a trial whereby they'll eat two tins of mackerel every week in a bid to see whether it has any positive impact on their condition. The trial comes after researchers at University of Aberdeen Rowett Institute suggested mackerel could hold some benefit for diabetics. People of South Asian ethnicity are known to be at greater risk of diabetes while those with Type 2 diabetes have already been found to have lower levels of omega-3 fatty acids, of which mackerel has high quantities. Researchers are looking for people of South Asian descent currently living in the UK who suffer from diabetes. The trial will see them armed with a weekly supply of mackerel as well as a recipe book to come up with ideas for how to use the oily fish. The results of their baseline levels of omega-3 fatty acids and body glucose will be measured against a group that do not have diabetes. People with diabetes can arrange specialist medical travel insurance when travelling overseas. Khairun Sumali, who is working on the study, said: "Half of the diabetic participants will be asked to eat two tins of mackerel a week, replacing a red meat or poultry dish in their diet. "We will also provide participants with a mackerel recipe book so they don't run out of tasty ways to enjoy the mackerel. "As part of the study, we ask all diabetic volunteers to provide us with finger-prick blood samples on three separate occasions, once before the study starts, once halfway through the study period (eight weeks) and once at the end of the study period (16 weeks). "They will also be given a brief questionnaire to assess their eating habits at the beginning and at the end of the study."